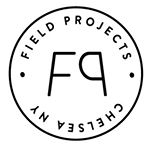 PMG's artist SCOTT EVERINHAM will be present in a group show in New York at Fieldproject opening November 3rd. Curated by Paulina Bebecka from Postmaster Gallery. If you are in New York, don't miss it.